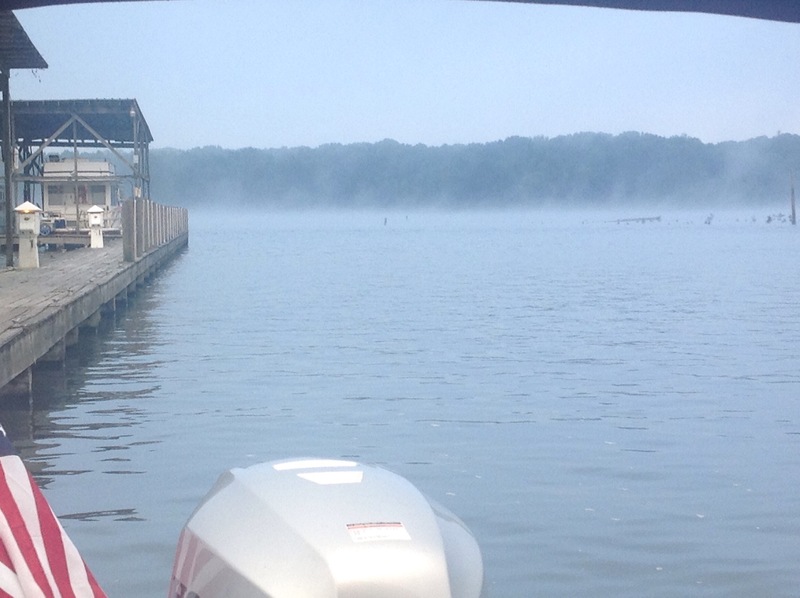 There was a bit of fog rolling up the Tombigbee River this morning prior to us going up for a shower and leaving Midway Marina at 7.30am. We did four locks today but with no waiting, they just called us straight in and we transited quickly. The photo below was from yesterday but we only just determined that it was General Grant’s house who subsequently went on to be President of the US. 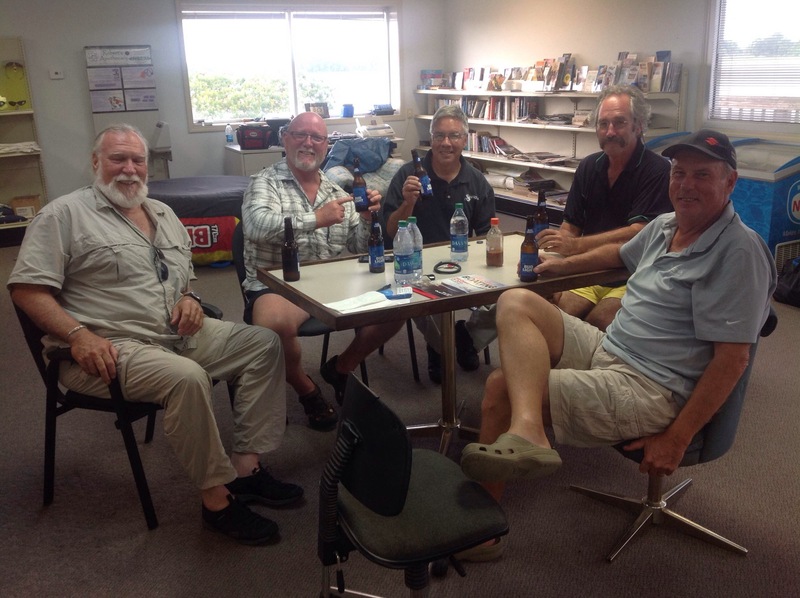 We arrived at Columbus Marina just after 3pm and hooked up with some entertaining guys drinking beer in the licensed office area. Larry (left) and Greg are delivering a yacht for Bob (right). Greg is an ex Navy diver and Larry a retired underwater archeologist. Great company for sundowners. This entry was posted in Mississippi. Bookmark the permalink. The fog reminded me of our place lately – lots of fog and frosts. What a beautiful house he had – talk about location! All the people you are meeting seem to be absolutely wonderful and would have a wealth of knowledge and different stories to tell, a bit like yourself! Did you see T at Columbus Marina? He was the dockmaster when we were there.